Madley property are proud to present this elegant and contemporary apartment in one of London's most sought after riverside developments. 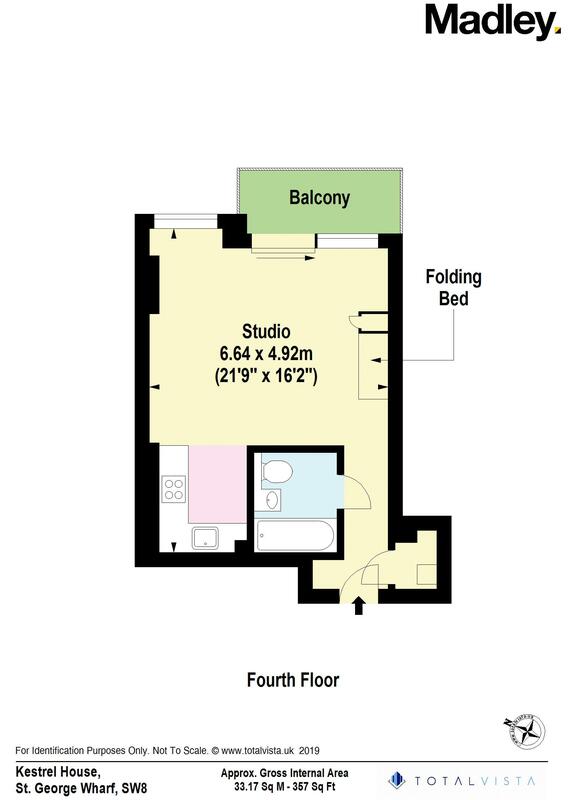 The studio apartment benefits from over 365sqft of space which consist of a large living, a tranquil balcony, a separate kitchen, and a luxurious bathroom. St George Wharf offers the perfect balance of cosmopolitan luxury living and convenience, with on site riverside bars and restaurants such as Young’s Riverside Bar & Restaurant and Aqua River Brassiere as well as direct access to Vauxhall Underground Station on the Victoria Line. For additional convenience other on site outlets include Tesco Express, Pret a Manger, Hudson’s Dry Cleaners, Lloyds Pharmacy and more.